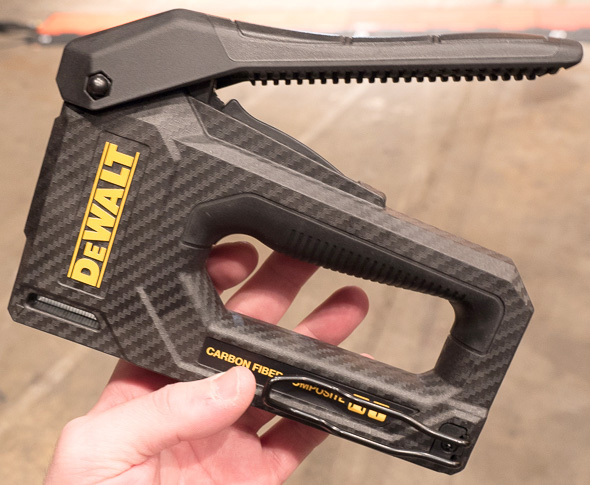 CarbonLite Tools came out with these new carbon fiber wrenches a few months ago, and it seems like everyone’s talking about them once again. It’s easy to understand why – carbon fiber is a cool material, making carbon fibers somewhat unique and exotic. These wrenches are each made with over 25 layers of carbon fiber, with the action areas being made with stainless steel metal inserts. 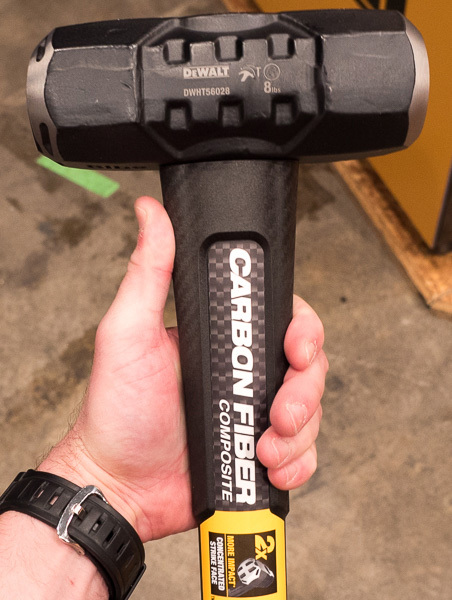 The manufacturer says their new carbon fiber wrenches are strong enough for normal use. Their lightweight construction makes them well suited for mobile tool kits and use in extreme environmental conditions. Make sure you wear gloves when using these wrenches, as CarbonLite Tools says there is a small possibility of splinters. CarbonLite also says that the metal teeth are tapered. This is so that when a bolt head is inserted deeper into the teeth, the tighter the teeth are around the bolt head. CarbonLite sells their wrenches as part of a 5-piece box end set. Each wrench has a metric side and an inch side. Inch sizes include 3/8″, 7/16″, 1/2″, 9/16″, and 5/8″, and the metric sizes include 10mm, 12mm, 13mm, 14mm, and 15mm. All 5 wrenches weigh in at 6.7 oz combined. A complete set will set you back $140. CarbonLite wrenches are manufactured in the USA. To be frank, I see the coolness factor of these wrenches, but don’t really see the practicality. Only 10 inch and metric sizes are available, which is quite limiting, and I have doubts that these wrenches can meet – let alone exceed – industry strength standards. I also don’t quite see the point of the tapered box ends, or as CarbonLite calls them, “the teeth.” It seems possible that the taper might be necessary to keep the stainless steel box end inserts fixed inside the tools. Having tapered box ends seems like a potentially risky idea to me, but since the box ends aren’t offset by an angle of any kind, there’s no reason other than convenience to have to use one side over the other. I must give the folks at CarbonLite credit for their creativity, but these wrenches seem to have too many flaws. They’re expensive, they’re fragile, there aren’t many sizes, the 5 wrenches that are included in the set are all half inch and half metric sized, and there’s a risk of carbon fiber splinters if you don’t wear gloves while using the wrenches. These wrenches would look great on my wall, but I don’t think I would want them in my tool box. So the big question is, what’s the weight difference between similarly-sized steel wrenches? 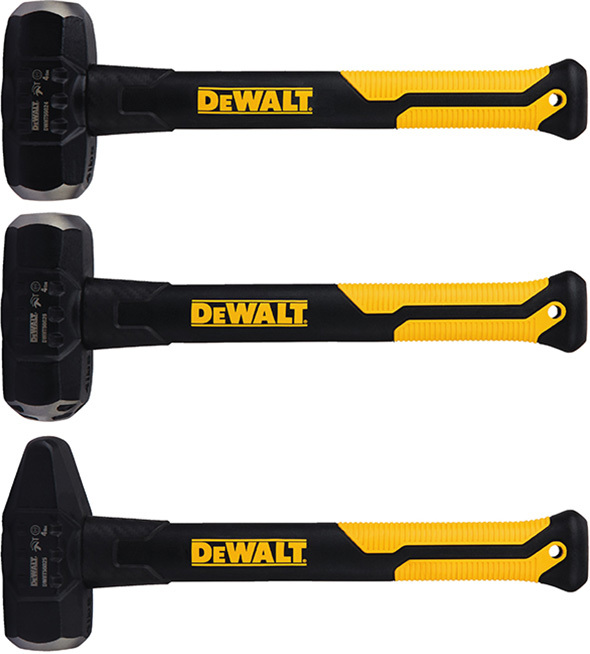 According to CarbonLite, the 5-piece set weighs less than a single 15mm wrench. However, a Proto 15mm wrench (LINK) weighs 0.25 lbs, or ~ 4 ounces, which is less than the 6.7 ounce weight of the CarbonLite set. CarbonLite didn’t publish individual specs, and their wrenches look shorter than standard wrenches, making comparison difficult. Hmm $140 with the possibility of splinters, I’ve got an old shipping pallet in the back of the house that’ll do that for free. While these are not cheap in the least considering the work involved and the fact these are 100% American made, this makes sense. Definitely not tools for your average home owner of none the less these really look cool. Non-sparking ? Probably not with the stainless steel. Hats off to them for continuing to innovate. If you can find a cross country cyclist using anything other than metric allen keys or torx head fasteners. Having worked with carbon fiber in my career numerous times,I find these very cool and they arent easy to manufacture. The splintering effect could happen but its a pretty minimal chance unless you dropped the tool or something of that nature. A little epoxy over the hand area could solve tat issue thou. Carbon fiber if done correctly is many times stronger than steel. We’ve made small one man submarine bodies with it. I agree these are more about cool factor than usefulness in my opinion. Althou I could see where bicyclists might want them. I could see the usefulness, where weight is a factor, more than price, say for when you need a wrench for the Space station, or a ride along kit for an airliner, bicycle racers, etc. For the average Joe, it is probably more for the cool factor than anything. I could definitely see these as a nice benefit in the the marine environment (sail & power) for a number of different reasons. One our small fleet of work boats have a small steering center console that is also used for storage, we keep tools in there but we have to very careful because as they can effect and throw off the navigation compass we use everyday. These wrenches would help eliminate that magnetic problem. Second, it’s very wet and corrosive , our tools don’t last very long even when kept in sealed dry bags. Third and quite important is weight, the lighter we make our boats the less fuel we consume on a daily basis, that saves money and increase performance. This would also very much apply to every racing sailboat and cruising boat, which all need to have tools kits on board, racers spend huge amounts of money trying loose every ounce. It’s a very small segment in this big world but still a good amount that would benefit from these tools and not to mention the aviation segment that needs to take tools with them. For the saltwater/offshore fisherman’s boat tool kit, these would be a no-brainer *IF* the risk of splinters wasn’t such a concern. At least for the boat owner with more money to burn than me… and there are a lot of those guys. I throw away at least one heavier (but cheap) box wrench each year because they’ve rusted beyond usefulness, but I pick up my “disposable” tools like that at garage sales or clearance bins. Strictly cool factor. Don’t even have to know how to use’em. Hang them on the wall and put a frame around then. Meh. Another black aluminum product masquerading as carbon fiber. Tell me these are just 3D CAD renderings and not photos of the actual tool. Might as well have just cut them out of aluminum or titanium and wrapped them in CF. They don’t even look comfortable to hold. I’m not surprised there is a chance of splinters, just look at the sharp edges! And, last time I looked, CF was many times smaller in diameter than a human hair; not sure gloves will do much good. Might as well get some titanium ones anyway, strong and light but no splinters. Appear to be actual photos. Porosity in the weave would never be something they would render. I don’t see any substantial market for them. I use a inexpensive set of steel wrenches that I use daily. I use cheater pipe, stand on them and hit them with a hammer and even use them for a hammer in a pinch. fifteen years, no broken tools and no splinters. I remember that space article you had about what astronauts use in space, this is what I thought they used, carbon fiber or exotic strong yet lightweight metals for the tools. Ah, these – https://toolguyd.com/iss-toolbox-tools/ . NO WAY would carbon fiber tools EVER be used in space. What happens if the tool chips a little? Small needled-shaped electric-conductive debris would be released to the free-gravity environment. Maybe stainless steel tools are used, similar to the food industry where you cannot risk particulate release. Stuart–At first, I thought the tapered opening was a good idea, as that would provide additional grip. Snap-on (and others) make ratcheting wrenches like that on purpose to minimize the up-and-down motion on long screws when you’re tightening a nut on them. That sank in for awhile, then I realized that would actually be detrimental to this wrench’s use. These aren’t reversing wrenches; further, they are “straight” wrenches (i.e., the ends aren’t angled or offset). So, if you are in a tight spot, you can’t turn it over to get a new (hopefully better) grip to turn the fastener a few more degrees; the flip side, which is smaller in diameter, won’t admit the fastener. The material around each wrench head has been beefed up for strength reasons. 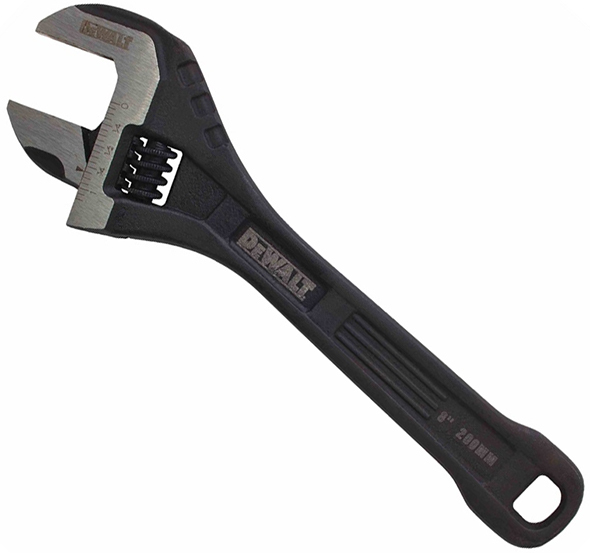 This may prevent the wrench from being used in tight spaces where a small-headed closed metal wrench could fit into. I have reservations regarding strength and splinters, too, so I don’t think these will be game-changing. What really stood out to me about these tools is that they don’t seem to have been designed by tool users, or for tool users. You’re probably right. They were made as a design exercise because CF is “cool” right now. They don’t serve a particular purpose or need; they were made because they could be. This would be a good idea for people concerned about weight, like bicyclists or motorcyclists – except for the absolutely unfathomably stupid idea to mix SAE and metric on the same wrench. This will end up being like the motorized electric adjustable wrench; given to people who have tools, by people who don’t. Not bad to carry on your Harley/Victory, since you will find both SAE and Metric.